The team at M&F Talent are the premier recruiters for the hydroponics industry. Due to years of networking in the cannabis and horticulture markets, we have developed deep connections with industry leaders. As such, hydroponics product companies rely on M&F Talent for their most essential hiring needs. Similarly, candidates – such as Soil Scientists and Hydroponics Salespeople – trust our recruiters with their career paths. Our extensive database of horticulture and cannabis professionals shows our impact in the hydroponics industry. 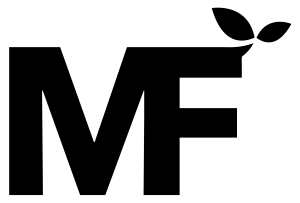 M&F Talent attracts leading professionals because we are the most knowledgeable and attentive recruiting agency in cannabis, hydroponics, and horticulture. Moreover, we take great pride in learning about our client’s businesses and the greater hydroponics marketplace. This intimate approach to business dealings also speaks to our partnership mentality, as we gauge our success by the success of our clients. Most recruiting services in the cannabis and hydroponics industry don’t understand the technical elements of the business. Conversely, M&F Talent has a breadth of knowledge relating to modern agriculture technology and technique. Similarly, our knowledge-base gives our hydroponics clients and candidates confidence in our guidance. Finally, it shows the greater marketplace that M&F Talent is “a part of the industry,” which many true cannabis and hydroponics professionals identify with. The recruiters at Mac & Fulton Talent Partners know that the hydroponics industry is defined by the outstanding people that make this businesses thrive. As such, we align ourselves with those multi-talented candidates with experience across cannabis, hydroponics, and horticulture. Importantly, these individuals have a knowledge base as well as network across these verticals. M&F Talent’s diverse talent pool and advanced search capabilities are well-suited for the hiring needs of the hydroponics product business. This fact make us the recruiters for the hydroponics industry. To this end, we occupy an essential niche filling hiring needs for Hydroponics Salespeople, CEA Equipment Engineers, and more. M&F Talent’s recruiters source premier horticulture professionals for our hydroponics industry clients. These candidates include cannabis industry experts as well as more traditional horticulturists. Therefore, our talent network actively engages a variety of arenas related to modern agriculture. The recruiters at M&F Talent regularly build sales teams for the largest names in hydroponics products. To this end, our recruiters develop their network through extensive exposure at hydroponics industry trade shows. Also, we have deep connections with hydroponics industry media sources and thought leaders. As a result, all of these outlets steer hydroponics salespeople to M&F Talent. Our technical recruiting capabilities in the hydroponics space are also explicit with our research and development talent pool. To this end, we have facilitated high-level placements such as Horticulture Lighting Engineers and Fertilizer Scientists. If you are an applicant pursuing a hydroponics industry career and would like to speak with M&F Talent, please check out our Jobs Section.